Today, the Legal Action Group in London launches MyPay.London, dealing with five employment issues ranging from unpaid wages to holiday pay. This provides a good opportunity to consider it alongside a more established US not for profit site designed to help users with the bankruptcy process, upsolve.org. The common point of both is that they go beyond the simple statement of information. They allow interactivity in which users input their precise circumstances and produce (in LAG’s case) tailored information and (in Upsolve’s) an actual bankruptcy application. Pioneered by the ill-fated Dutch Rechtwijzer now reborn as Justice42, this interactivity surely represents the next generation of information provision which evolves from the provision of passive information to active assistance with self-help. 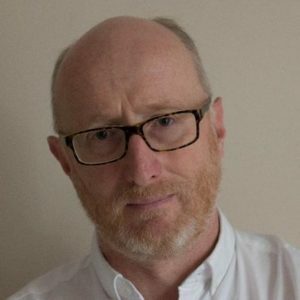 The LAG product has very much been the brainchild of its director, Steve Hynes who talked about the MyPay project in an earlier post. It was originally conceived as a project with a high involvement by the pro bono Free Representation Unit (FRU) – now somewhat diverted back into employment tribunal representation after recent helpful litigation. LAG originally conceived its product as an app but user testing was very clear that people in low income jobs preferred a website. This better fitted their pattern of connecting to the internet via mobile phones for short periods of time in places where wifi was free. Development took three years, rather longer than expected, partly because of the changes at FRU and partly because the law – especially on matters like the national minimum wage – turned out to be quite complicated. FRU was able to help with the content. To deal with the complexity, a number of the guided pathways on the site end with ‘stubs’ ie straightforward statements of the law that set out alternatives. LAG runs as a not for profit business. Sustainability of the initial £30,000 start up grant is important. Steve Hynes made a ‘Dragon’s Den’ type pitch to unions at the Trades Union Congress conference last autumn. HIs hope is that unions and other advice agencies will take the product on a ‘white label’ basis and incorporate it within their own websites. If successful, the site could lead on to similar provision for other areas of employment law such as unfair dismissal. Upsolve has a number of advantages over its English comparator. It is a single issue not for profit which has been very successful in raising initial capital. The Legal Services Corporation has given it two grants under its Technical Innovations Grants scheme. It has also received backing from a number of foundations linked to organisations based in Silicon Valley. It raised $800,000 in 2018. Perhaps as usefully, it has found mentoring and tutelage through the Y Combinator and Janine Sickelmeyer, the founder of Next Chapter, a leading for-profit bankruptcy software company. 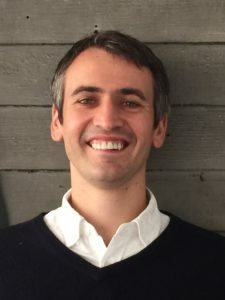 Where Steve Hynes has a background in the voluntary sector (though LAG is financially a social business), Upsolve’s co-founders are more typical technology entrepreneurs – Jonathan Petts is a former business insolvency lawyer and Rohan Pavuluri encountered insolvency law through research at Harvard. Upsolve takes prospective users through a series of questions and answers to determine suitability and then onto a series of guided pathways that allow the completion of the appropriate form. Bankruptcy law is federal in the US so the programme will work for almost all states – it screens for those with particular issues. An in-house attorney checks the completed form; files and tracks the case. So, the system incorporates human assistance in the process. The first filing was in June 2016. In 2018, Upsolve completed 405 with a 98 per cent discharge rate. The service is free to users and incorporates assistance in making an application to waive the usual $335 filing fee. To a European, the shocking thing about bankruptcy in the US is how easily it can follow a family members’ loss of a job, accident or illness. Upsolve is just one – though one of the more sophisticated – of a whole host of self help document assembly products in the US. In the not for profit sector and for self-represented litigants, these have been much assisted by the A2J author software which allows interactivity to be incorporated into different products. You could credibly argue that the UK is some five years or so behind the US. This is, in part, probably due to the ‘trickle down’ effect of the big technology firms of the kind that have assisted Upsolve. It is interesting also to speculate whether English legal culture has for so long been dominated by legal aid that this has, to some extent, stifled innovation in delivery. That may be particularly the case because there is no English equivalent of the LSC as a strategic leader in the field. You would predict, however, a catching up. Let’s see if MyPay is in the vanguard of a new wave.